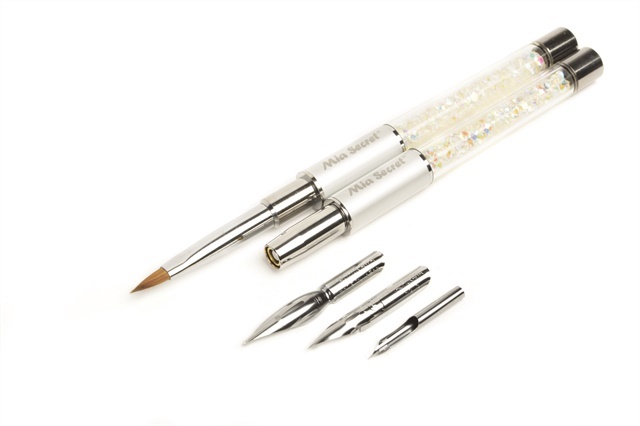 The Kolinsky Nail Brush is specially designed to create 3-D nail art using acrylic systems. It can also be used to blur two colors using gel or gel paint. The brush is made out of 100% natural kolinksy hair. The stylograph helps nail artists achieve very delicate and thin lines using acrylic systems or Chinese ink. It is easy to use and the same size as a regular pen. Each stylograph comes with three exchangeable point sizes.